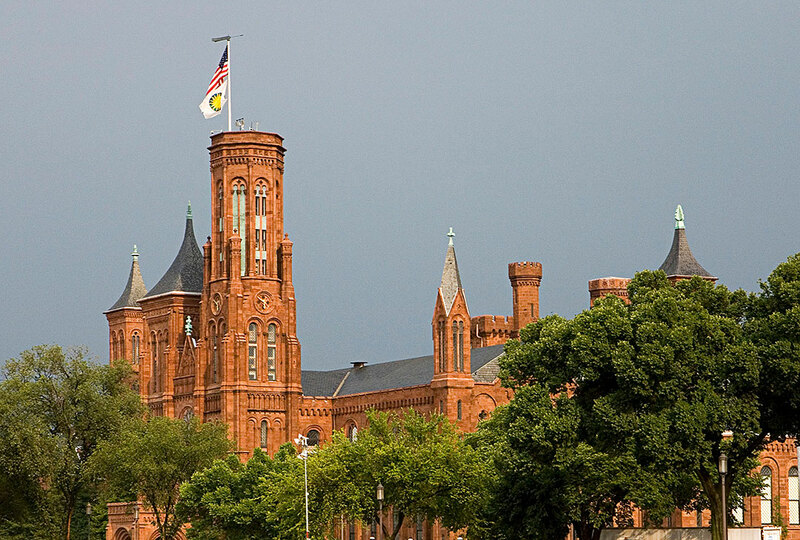 Completed in 1855, the Castle is our signature building and home to the Smithsonian Visitor Center. As such, it makes a great starting point for your journey—here you can get a grasp of the scope and scale of the Smithsonian, see collections highlights from each of our museums, tour the Castle’s 19th-century architecture, see what’s going on today at all the museums, and consult with our in-house experts about what to see and do. Volunteers and interactive tools to help with visit planning; America's Treasure Chest, an exhibition displaying items from across the Smithsonian; docent tours highlighting the history and architecture of the Castle; Castle Café; Museum Store; free visitor Wi-Fi.